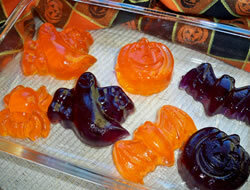 Completely dissolve jello and gelatin in boiling water or juice. Pour into a 9x13" pan. Chill till firm, about 3 hours. To unmold, dip pan in warm water about 15 seconds. Cut into squares or use cookie cutters to make shapes. 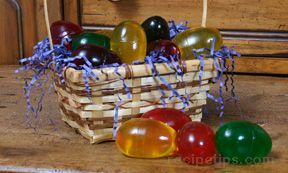 DEVILED JELLO JIGGLER EGGS: Make egg mold jigglers, cut in half lengthwise & scoop out a bit of the centers. Chop up the scooped out bits & mix with some Cool Whip or mayo. 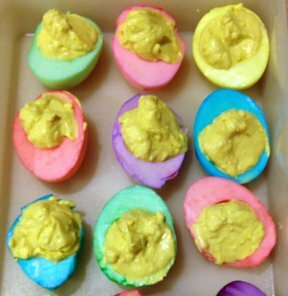 Place filling back into the "eggs" like for deviled eggs; refrigerate. Very colorful.